Join Jane E. Wilcox, host of The Forget-Me-Not Hour: Your Ancestors Want Their Stories to Be Told radio show, when she welcomes the presenters of the New York Genealogical & Biographical-sponsored New York Track at the National Genealogical Society’s 2014 Family History Conference in Richmond, Virginia. On the show, the New York Track lecture team will talk about the exciting lineup of New York genealogy topics at this year’s conference. The radio show airs at 9:00 p.m. Eastern time on Wednesday, 19 March 2014, at http://www.blogtalkradio.com/janeewilcox/2014/03/20/ny-track-at-ngs-richmond-2014, and can be listened to on-demand any time afterward. 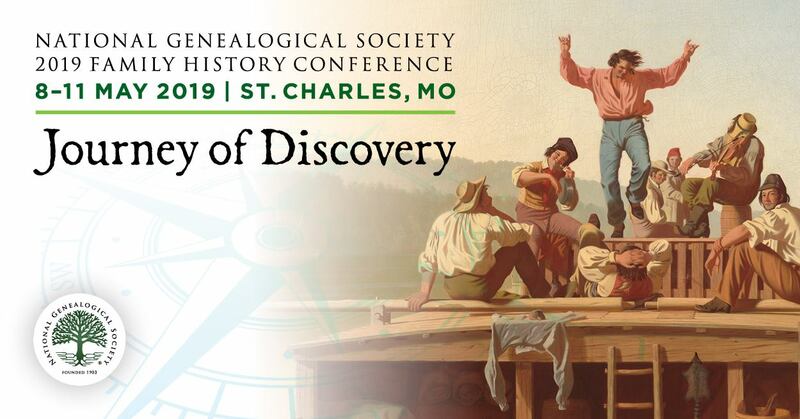 The New York Track includes Naomi Joshi on “Navigating the Past: Gazetteers and Genealogists,” Terry Koch-Bostic with two topics: “Misspelled, Misunderstood or Deliberate? Are Your New York Ancestors’ Records Hidden Under a Surname Variation?” and “Upside Down Migration: South Carolina to Nova Scotia to New York,” Joan Koster-Morales on “New York’s Confederate Prisons: Elmira and New York City,” and radio show host Jane Wilcox on “Looking for Your New York Tenant Farmer: Little-Used Resources.” Naomi will also give the NYG&B Luncheon talk on “How to Assemble a Weighty Genealogical Tome and Survive the Experience!” The New York Track and Luncheon take place on Thursday, 8 May. Find out what each of the presentations is all about on Wednesday, 19 March, on The Forget-Me-Not Hour, and then join the presenters at the Greater Richmond Convention Center in Richmond, Virginia, on 7-10 May 2014. Begun in November 2010 on WHVW 950 AM radio in Poughkeepsie, the Forget-Me-Not Hour features two one-hour shows each month with one on New York-area genealogy and history topics and one on a variety of genealogy and history topics. The New York show airs on the first Wednesday of the month at 10:00 a.m. or 9:00 p.m. (depending on availability of the guest) at www.BlogTalkRadio.com/JaneEWilcox. The variety show airs on the third Wednesday of the month at 10:00 a.m. or 9:00 p.m. Both shows can be accessed on-demand any time after the show airs. The program schedule and archives can be found on BlogTalk. Host Jane E. Wilcox can be reached at www.4getMeNotAncestry.com. Please contact her with show ideas and questions for upcoming guests.